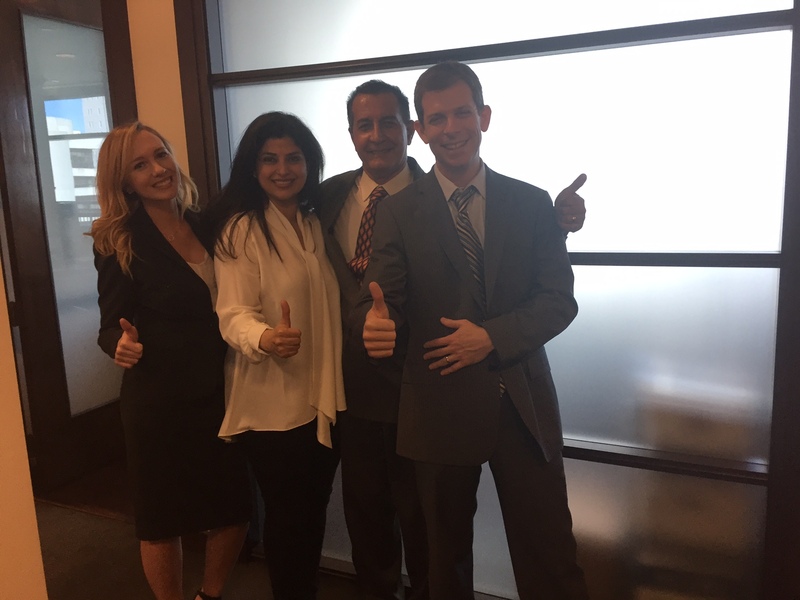 After a three day trial, a federal jury unanimously found Dr. Michael Bahrami not guilty today in Federal Court before Judge Cecilia Altonaga. Dr. Bahrami was charged in a one count indictment with conspiracy to defraud the United States and to accept kickbacks and bribes in exchange for referring patients to home health agencies. The jury deliberated for less than an hour before finding him not guilty. Dr. Bahrami fled Iran when he was 17 years old. He taught himself English working as a bus boy. He then put himself through medical school and did his internship at Mt. Sinai hospital. He is 61 years old and has a successful cardiology practice. He is married with two small children, 7 and 9 years old. Throughout the trial, the courtroom was packed with his patients who all support him and say he is the best doctor around. He, his wife, and his patients wept after the trial. Here’s a link to the Herald Article.